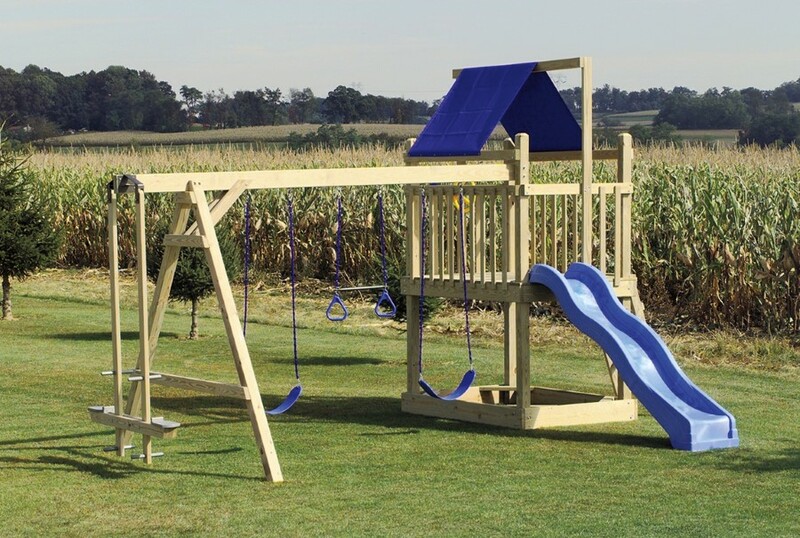 Stop into our sales location to browse through the many options available to customize a playset that is a perfect fit for you! 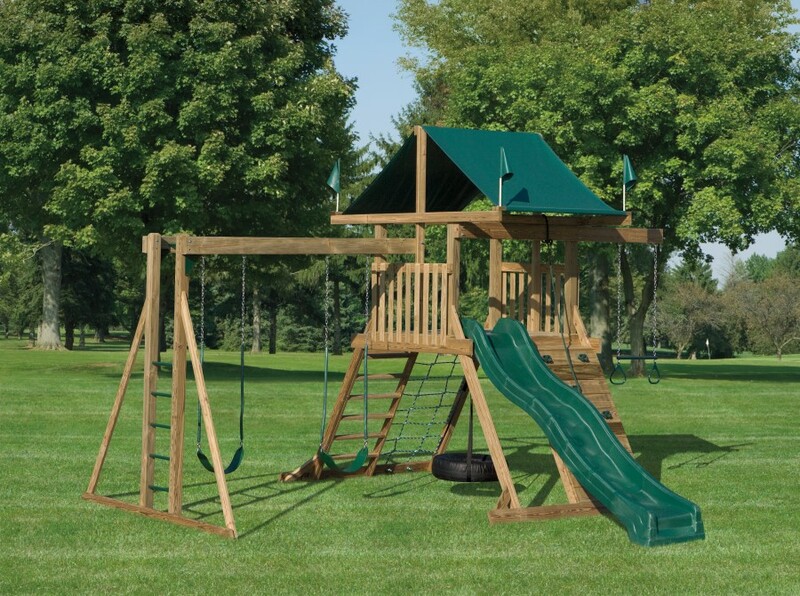 Our basic wood playets boast a broad range of layouts and options. 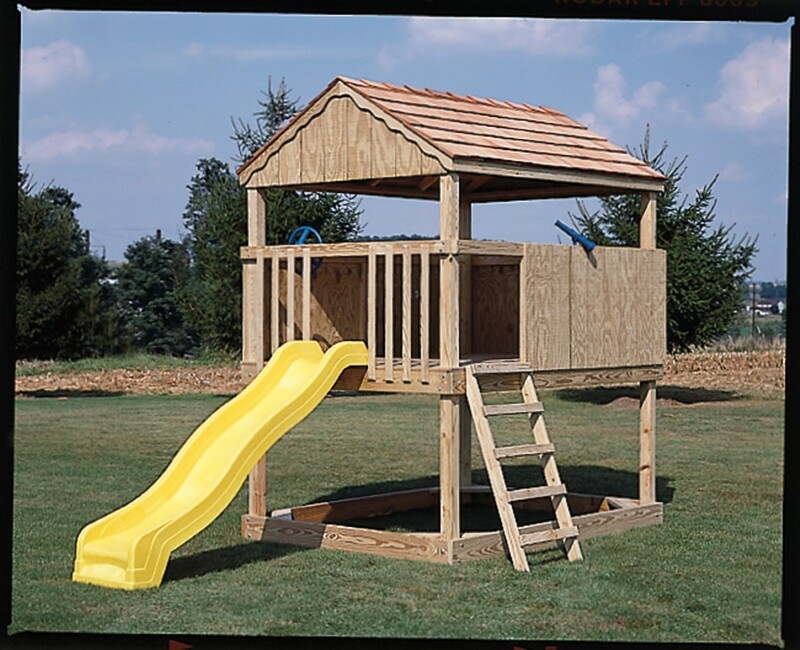 A tarp roof is included with each model and stain can be applied for an additional charge. 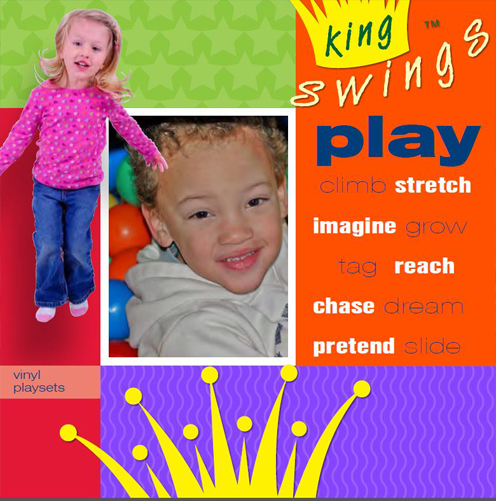 Click the image to the left to download our latest brochure! 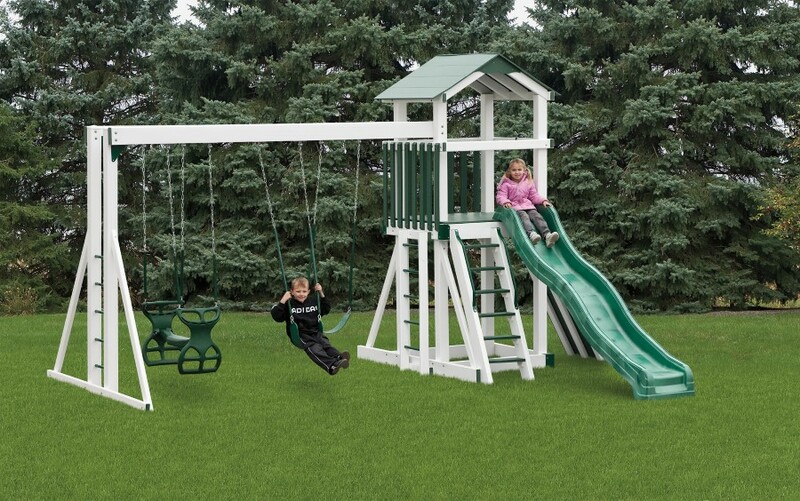 Our backyard playstations offer even more options and set styles. 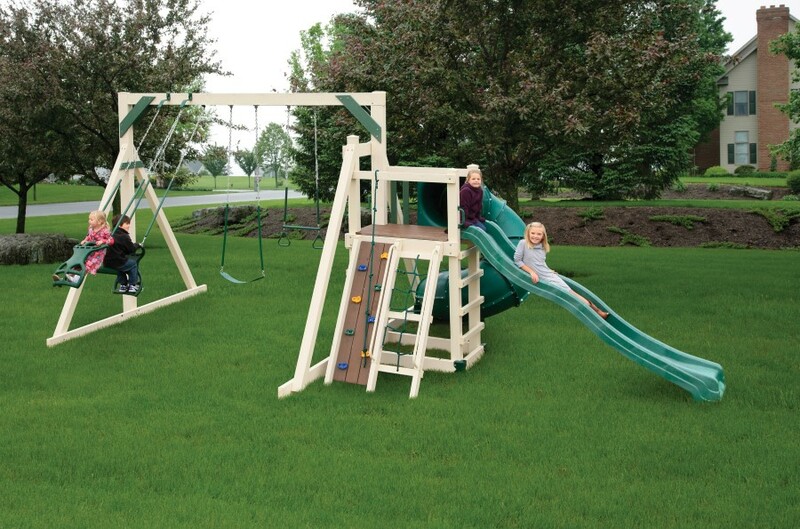 Choose from one of these models or design your own. 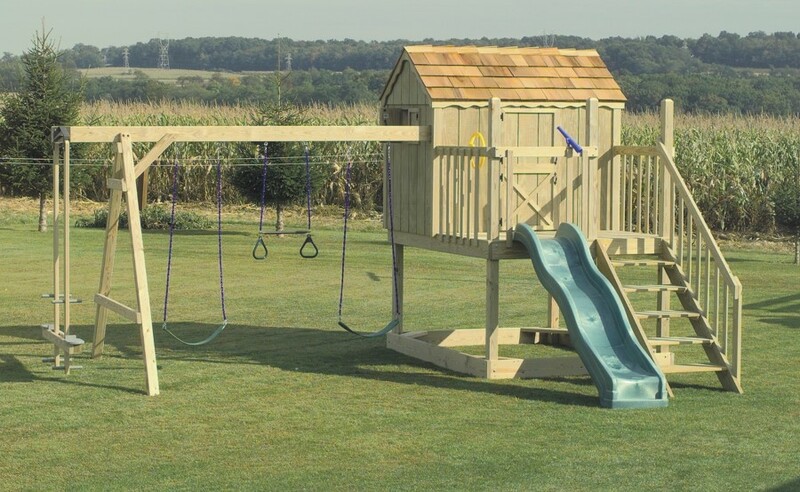 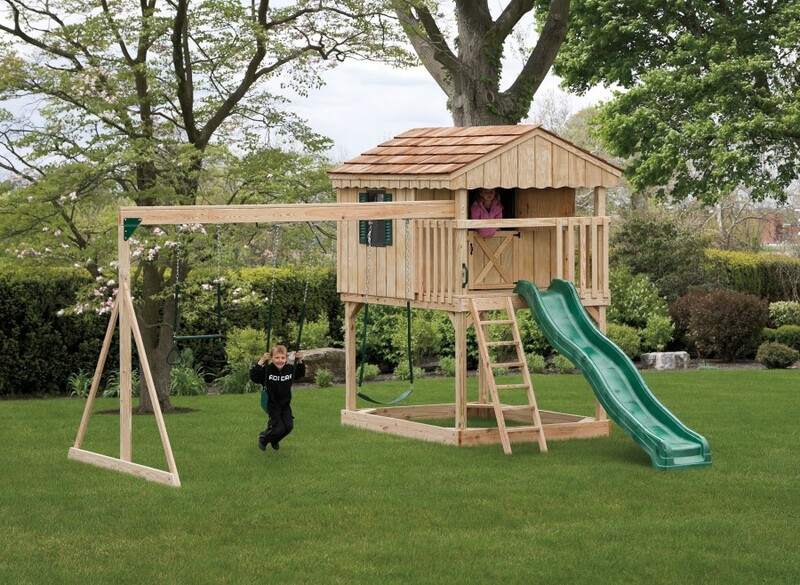 Our deluxe wood playsets are built with the same quality materials as of our basicwood sets, but include more decorative features to complement your outdoor space. 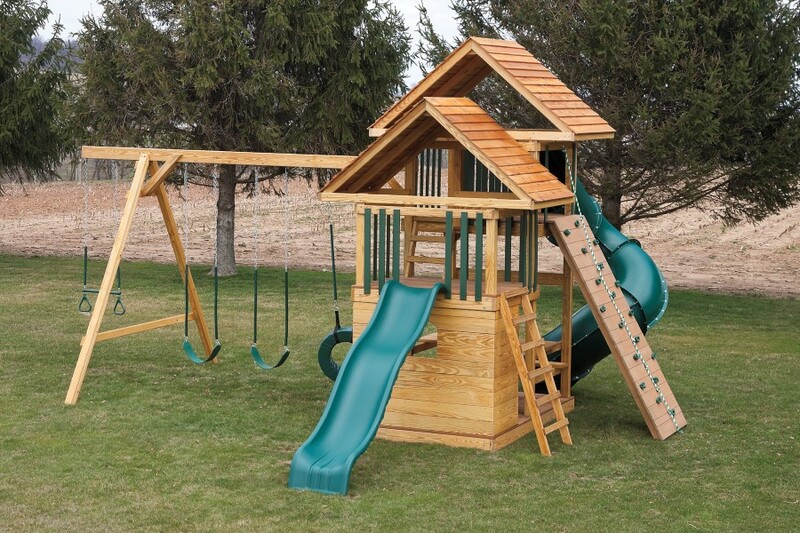 They are available in natural pine, stained pine, or with painted accents. 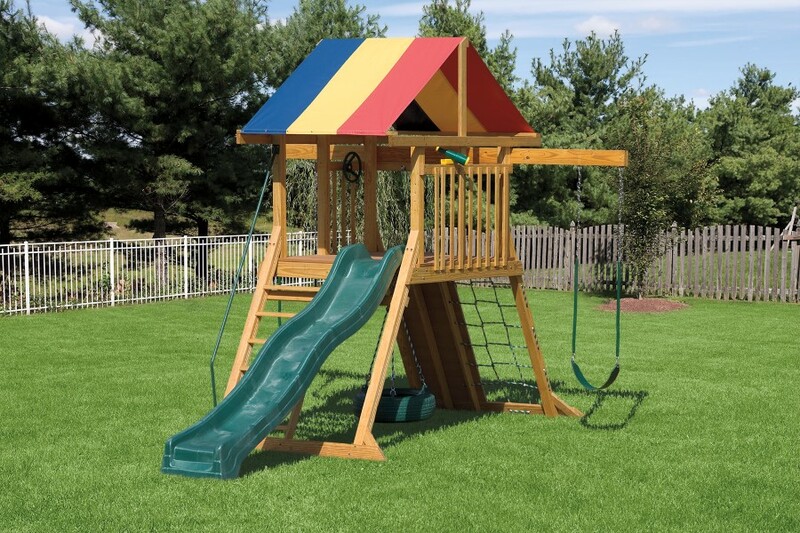 Our vinyl backyard playstations are built with study pressure treated pine and then covered with maintenance free vinyl. 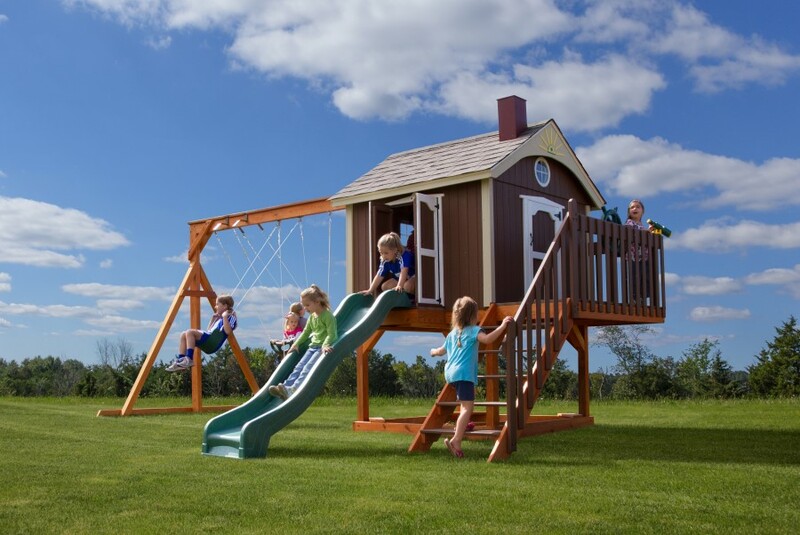 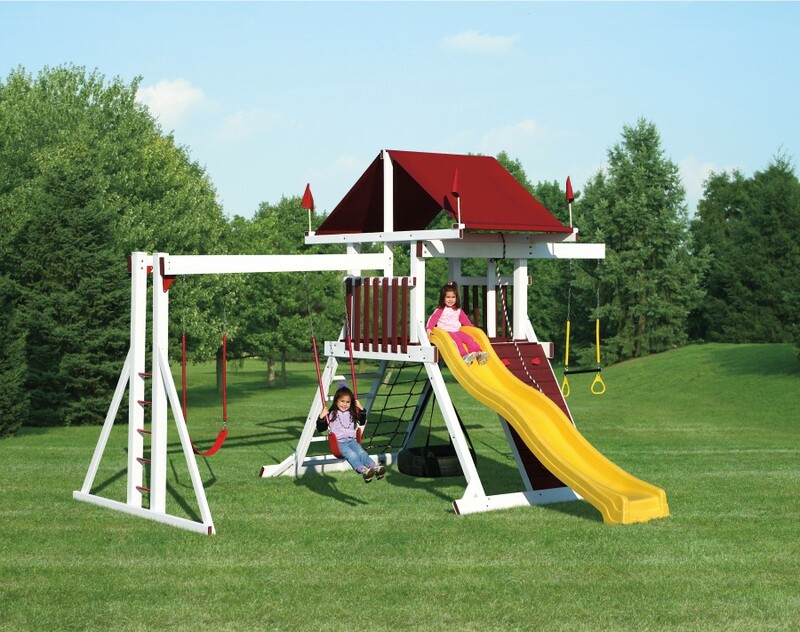 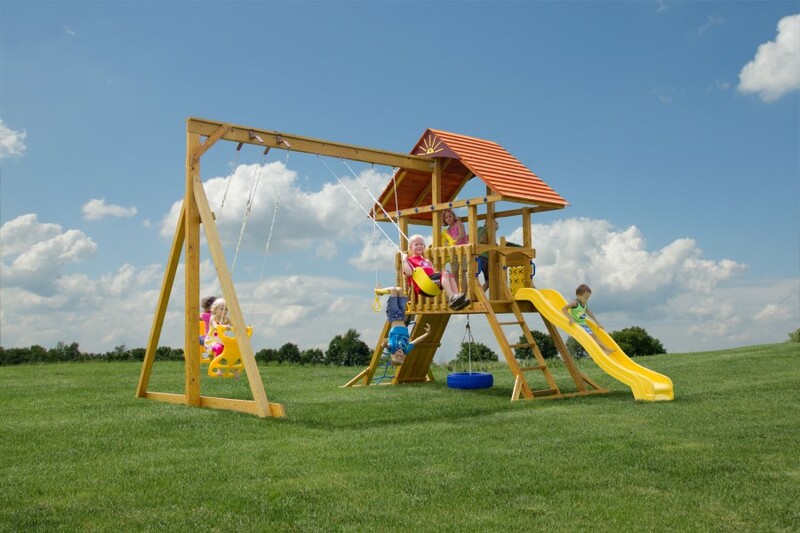 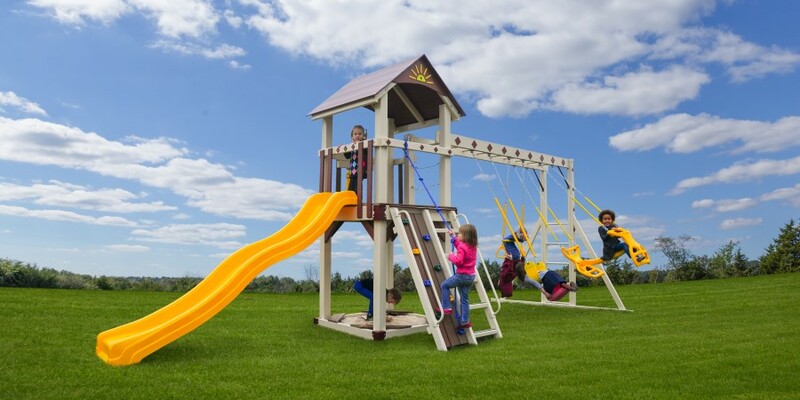 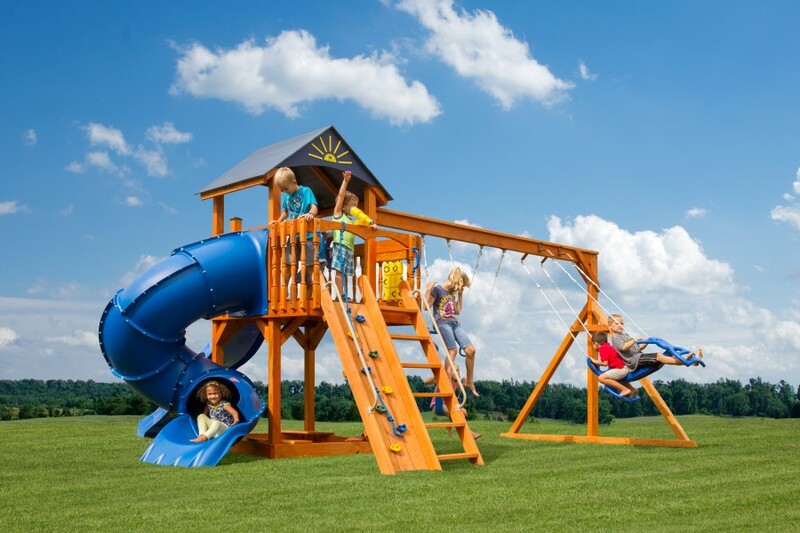 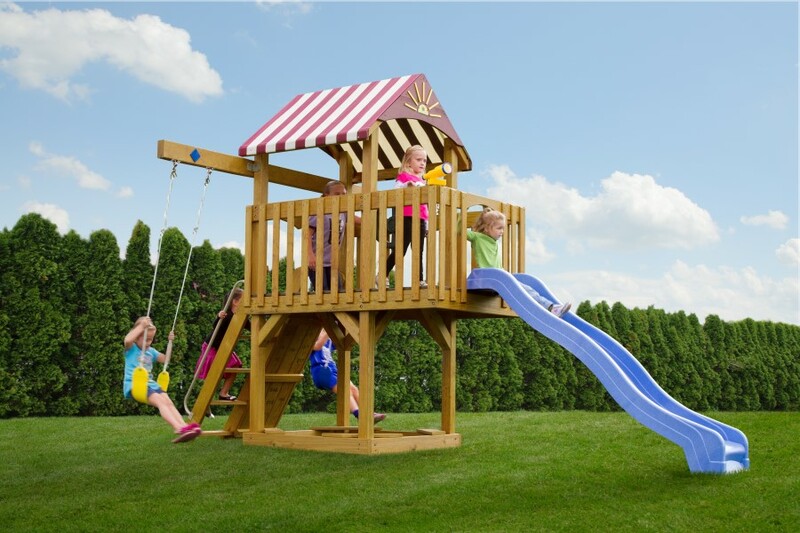 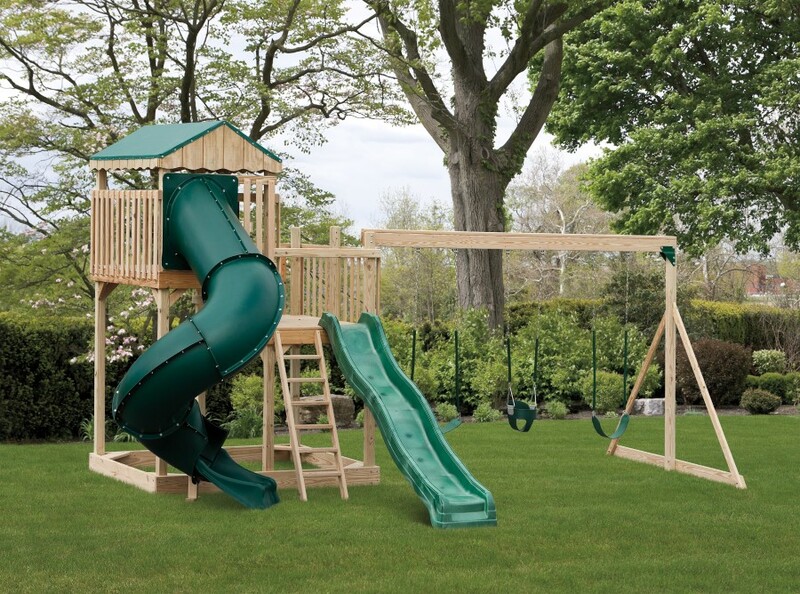 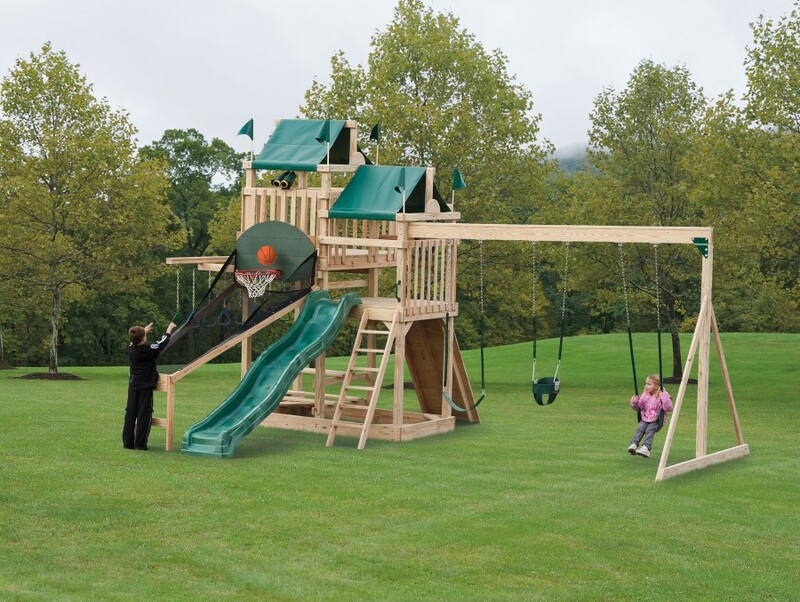 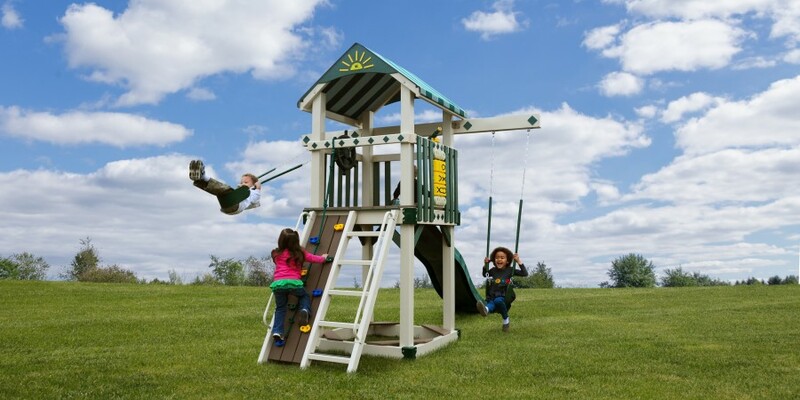 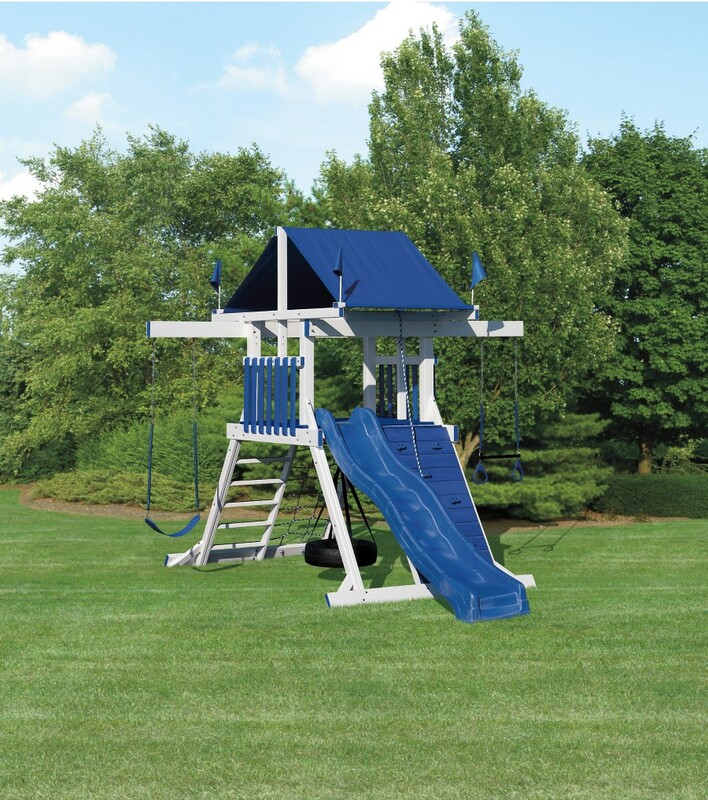 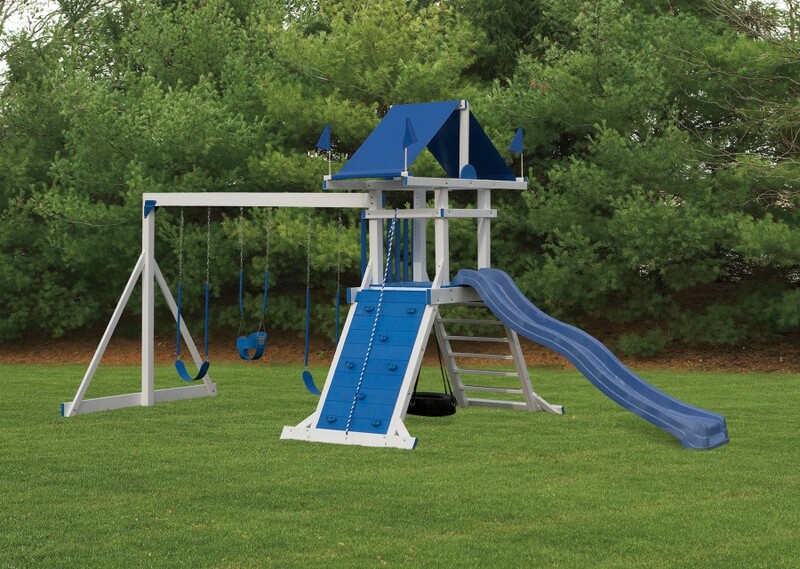 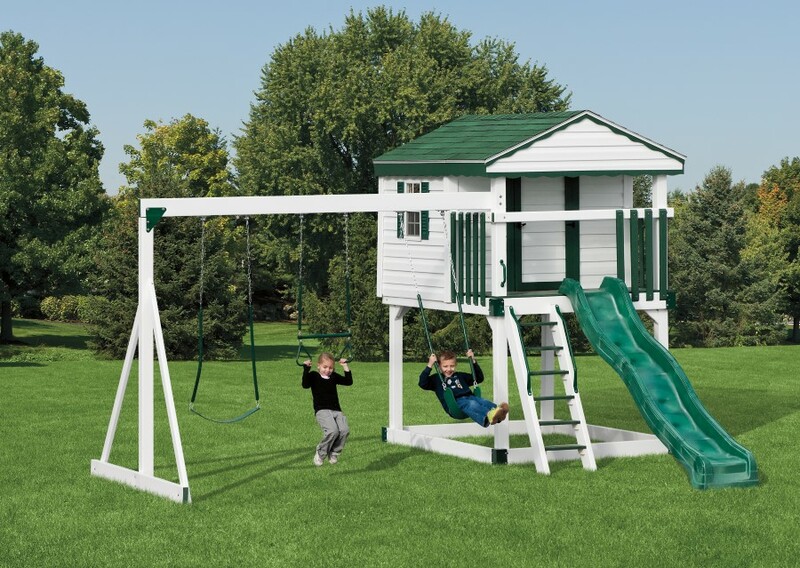 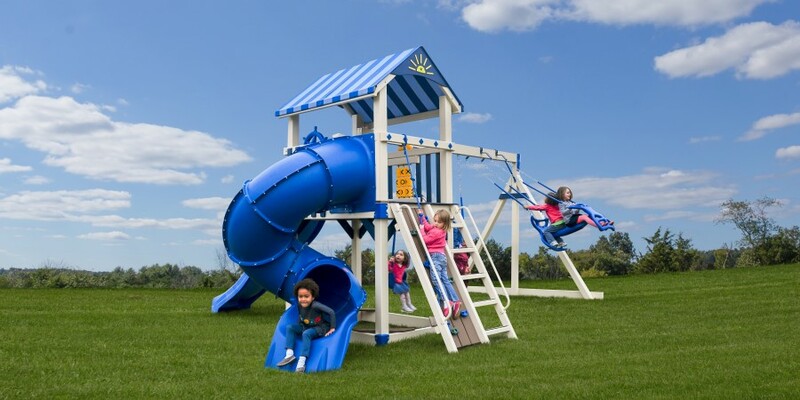 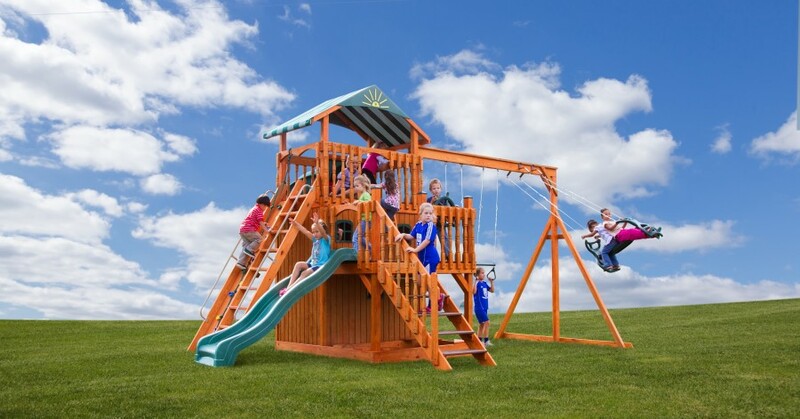 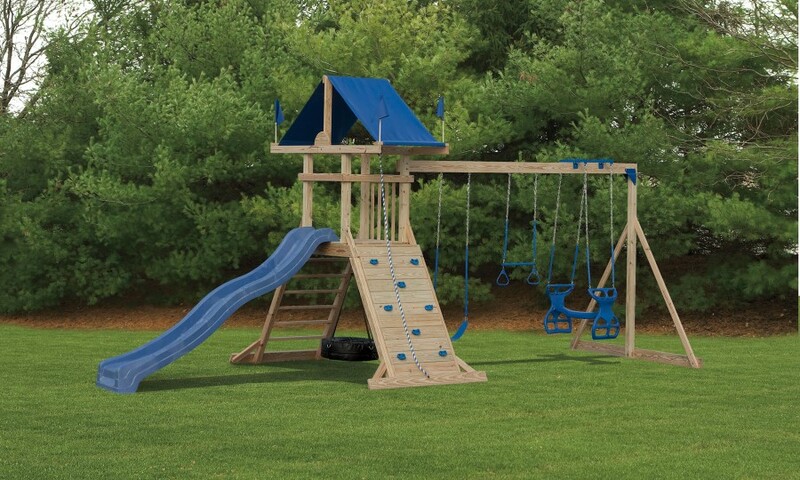 These playsets are available in a variety of models with your choice of color accents. 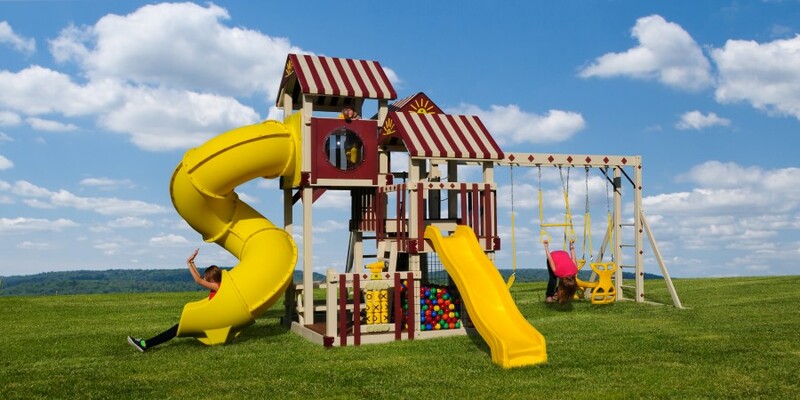 our deluxe vinyl playsets are built using quality mainteance free vinyl and include decorative finishing features such as vinyl decking and carpeted interiors on playhouses.